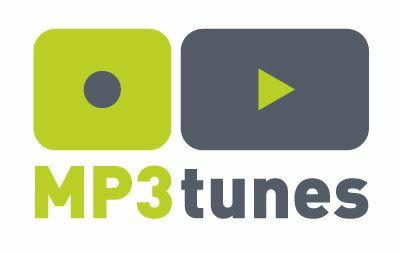 MP3tunes has filed for bankruptcy protection after years of withering legal attacks and a concerted effort by some in the industry to thwart MP3tunes and personal lockers. Sixteen years ago as the founder of MP3.com I championed the concept that personal music collections would move from stacks of CDs to the PC (analog to digital). A decade later I launched MP3tunes with the vision that digital music libraries would move from the PC to the cloud. One and half years into that mission, EMI Records sued MP3tunes alleging we were massive infringers and had built our business on piracy. Nearly four years later a judge found the exact opposite - that "MP3tunes did not promote infringement". Unhappy with the outcome, EMI has asked for the ruling to be re-examined a remarkable 3 times - even before the first trial has occurred. While MP3tunes blazed a trail for the personal cloud music storage, it has had to deal with four and a half years of legal torment. At every opportunity EMI dragged out the legal process making it costly and burdensome. One example is the interrogation of company employees in all-day inquisitions called depositions where attorneys try to trick people into making admissions. In our case, they deposed not just management but nearly everyone in the company all the way down to clerical help and customer support personnel. They even paid $25,000 to get an ex-employee to agree to a deposition. For management they deposed everyone - some multiple times with me getting deposed 3 separate times. The legal pressure was not just confined within MP3tunes. EMI sent legal demands to existing partners and potential partners were told they could not work with MP3tunes or risk losing their license to sell EMI music. More than one digital company told us they wanted to work with us, but were prohibited from doing so by EMI. They used their government-granted copyright monopoly to get MP3tunes blackballed in the industry. EMI spent an estimated $10 million dollars with multiple law firms to arm their attack against MP3tunes in an attempt to thwart unlicensed personal lockers. They know it's difficult if not impossible for startups to fight long costly legal battles. Their hope is that the startup cannot fund a protracted legal battle and they win by default. This happened with the music search engine Seeqpod, Muxtape, Favtape and many others that have quietly faded away. They know that even if the digital upstart prevails in court, they will be terminally weakened. Veoh won multiple rounds of their copyright battle outright only to be forced into bankruptcy after spending $7 million on legal bills. Defending the lawsuits cost MP3tunes dearly but wouldn't have been terminal if MP3tunes were free to partner with others and grow the business, but EMI intimidation and outright interference thwarted these efforts. One example: MP3tunes built a process called Express Listening where music purchases are automatically deposited into a secure music locker. Music fans could buy music at home, work or even from a mobile phone and listen right away with high quality copies of songs being loaded into lockers. With the exception of eClassical, no retailer would work with us for fear or retaliation from EMI or because it was prohibited outright. Yet today this is exactly how Amazon, Apple and Google's music stores operate. Continued legal bills and the entrance of substantial competitors make bankruptcy the only practical option. A costly trial is slated for the summer which could cost millions. EMI has already stated that, regardless of the outcome, they will appeal because they're displeased with the judge's findings. (They already tried to appeal but the judge wouldn't allow them.) Those not displeased with the court's ruling are technical heavyweights Google (the 5th richest company), Amazon (the leading online retailer) and Apple (the richest company), all of whom launched competing services last year and now have a more certain legal future thanks to MP3tunes' efforts. If MP3tunes would have been allowed to cultivate partners over the last few years it would be an entirely different scenario going forward, but without those relationships survival as an independent company is unlikely. It's disappointing anytime a company doesn't succeed. Many employees worked hard building a unique service. The CEO, who takes much of the credit for any success, gets much of the blame for the failure. When I started MP3tunes, iTunes DRM ruled the industry and most were skeptical on any initiative that challenged their position. I believed that open formats like MP3 that make music work everywhere were best for consumers and would prevail. I believed that cloud storage would be the future of the industry and consumers wouldn't have to re-buy or rent their music for net storage. Some solace can be found in the fact that today iTunes DRM is dead and buried, music lockers are now solidly legal without consumers having to pay for their music again or forced into a rental model. People can upload their music to Google, Amazon and others and listen anywhere because they're in control of their music. Alas MP3tunes will not benefit from this new world but consumers will. Onward.